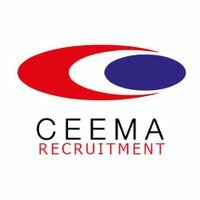 Over the last 19 years CEEMA Recruitment has built an enviable reputation and established itself as a true specialist in sourcing high quality professional candidates for numerous companies across the UK. At CEEMA Recruitment we have vast experience in helping candidates find quality placements. Our team of specialist consultants have significant experience within the recruitment industry, are highly knowledgeable and will use this expertise to find you the position that you are looking for in either the permanent or contractor sectors of the market. We understand the importance of building a career that you are proud of. As a result, we take an encompassing approach to assist you in finding your next role. Our consultants will take time to talk through everything that you wish to achieve and then use this information to try to find you your ideal placement. Working with professional contractors requires the support of someone who is knowledgeable in your relevant market(s) and who understands where you want to be. Our contract recruiters and contractor support team provide guidance throughout your contracting engagements. If you are a contractor looking for a recruitment company that works specifically with your needs in mind, then please contact us to find out more about what we can offer you. Whether you are looking for a new position or just want to get up-to-date professional advice, we can help you. We always work professionally and with 100% confidentiality, so please don’t hesitate to get in touch with us if you would like to hear more about our number of exciting opportunities in our nationwide portfolio.